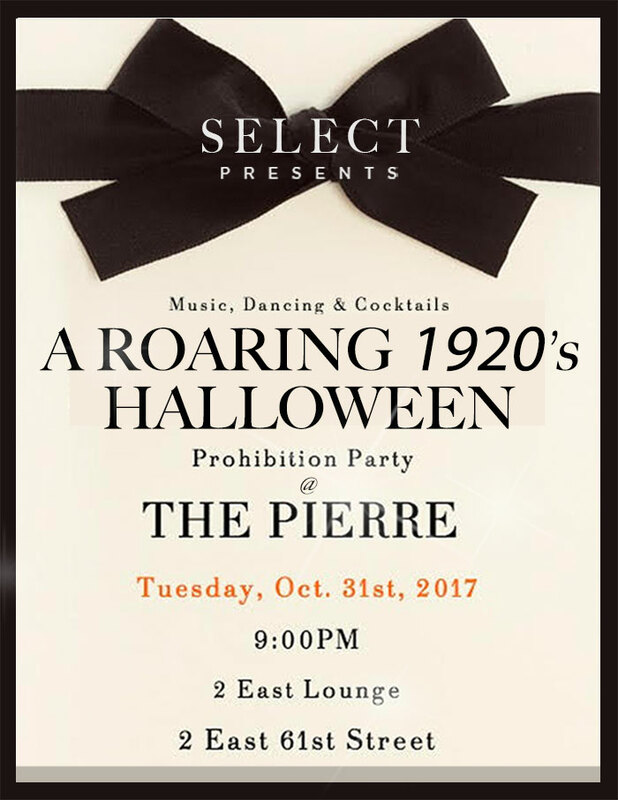 This Halloween, you are invited to join us for a fashion-forward fête from another era, as we travel backwards in time to the golden age of jazz to celebrate this annual occasion - prohibition style. Come dressed to the (1920) nines, and unwind among friends and fellow Members in the elegant 1920's-constructed cocktail lounge, Two E, of New York's The Pierre Hotel. Select from your best flapper hat, dress, and pearls, or a tailored double-breasted suit, derby, and wingtips – or just dress to impress! From 9-10 pm, we'll enjoy a complimentary sponsored vodka bar, featuring unlimited speciality vodka cocktails included with your RSVP, followed by a cash bar. Tickets are $35 for Members and guests. We look forward to seeing you there!